Dedicated to the impoverished in forgotten places of the world, the new release book BANKRUPTING THE THIRD WORLD: How the Global Elite Drown Poor Nations in a Sea of Debt questions whether the likes of the World Bank, the International Monetary Fund, the United States Agency for International Development and other big international aid organizations help or hinder the world’s poorest people. The Morcans reveal there’s a nefarious hidden agenda at play whereby the ‘generosity’ extended by international aid organisations in assisting the development of the Third World and providing relief in the event of natural disasters comes with serious strings attached. 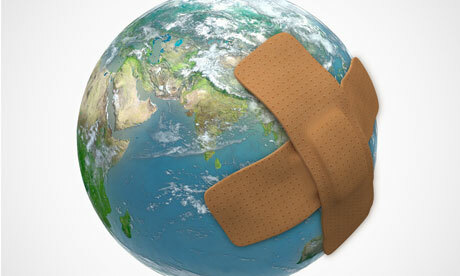 Strings designed to fleece vulnerable nations. The reader is reminded the economic hit men popularized in John Perkins’ 2004 bestseller ‘Confessions of an Economic Hit Man’ are still alive and well – in Africa in particular. 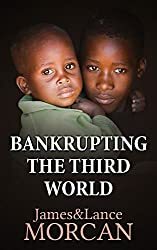 Bankrupting the Third World puts two poverty-stricken nations under the magnifying glass to reveal the long-term impact of being the recipient of substantial financial aid from the West. The resulting debt accrued by these nations may surprise even the most skeptical reader. In writing this book, the authors were motivated by one sickening statistic: 21,000 people die from starvation every day. That’s one person every four seconds! More sickening is the fact such deaths are unnecessary given there is more than enough wealth in the world for everyone to at least receive the basic necessities of life, and more than enough in the Third World for it to organically sustain itself. By the time you get to the end of this book you’ll see there’s as much wealth to be found in the Third World as there is in the First World. In fact, terms like ‘Third World’ and ‘impoverished nations’ are essentially misnomers as they imply wealth and resources are limited in these forgotten places. The authors aim to dispel that myth once and for all. It’s hoped Bankrupting the Third World will contribute in some small way to the masses pressuring world leaders to eradicate the extreme poverty that sees millions of our fellow Human Beings – men, women and children – dying unnecessarily every year. 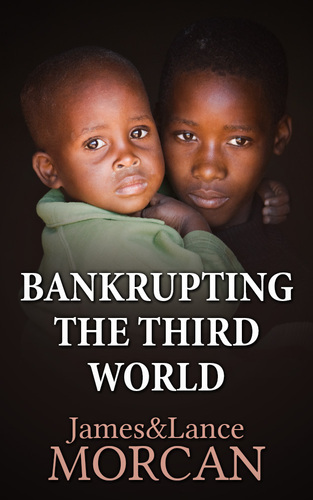 Bankrupting the Third World, Book #6 in The Underground Knowledge Series, was launched today exclusive to Amazon. It targets the West — in particular the so-called global elite and the big international aid organisations — and it questions whether the ‘aid’ extended to Third World nations is in fact aid or a gigantic scam designed to subjugate those countries. This book is primarily about international aid organizations and whether they help or hinder the world’s poorest people. The outfits examined include the likes of the World Bank, the International Monetary Fund (IMF) and the United States Agency for International Development (USAID). Officially, these financial relief organizations aim to reduce corruption in the Third World and Developing nations as part of their detailed and complex poverty alleviation mission. Their main strategy is providing loans to such nations for extensive development programs. 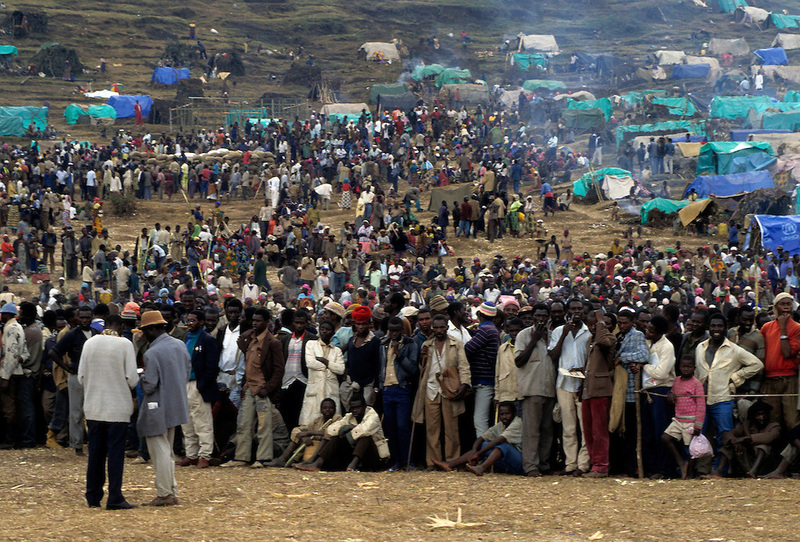 Kimbumba refugee camp in the Congo…just one of many. However, according to our research and that of many others – economists, human rights activists and independent investigators included – there’s a nefarious hidden agenda at play. An agenda that even many of those working within these organizations, especially low-medium level employees, are not remotely aware of. In Part Two, titled The Micro of Looting the World’s Poor, we put two Third World nations under the magnifying glass to reveal the long-term impact of being the recipient of substantial financial aid from the West. The resulting debt accrued by these nations may surprise even the most skeptical reader. Terms like “looting the world’s poor” and “bankrupting the Third World” might sound oxymoronic to those not familiar with geopolitics and distribution of wealth. Especially as society’s less moral operators normally look to loot the rich, not the poor – not to mention the fact that bankrupting the Third World, as such, would seem to be a fruitless endeavor if the perception there’s no real wealth in the Third World was actually true. However, as this book’s subtitle suggests, it’s about “How the Global Elite Drown Poor Nations in a Sea of Debt,” and how those same global elitists don’t go to all that trouble and (initial) expense for no reason or for no financial gain. We trust by the time you get to the end of this book you’ll agree there’s as much wealth to be found and fortunes to be made in the Third World as there is in the First World. In fact, terms like ‘Third World’ and ‘impoverished nations’ are essentially misnomers as they imply limited wealth and resources exist in these forgotten places. This book sets to dispel that myth once and for all. Lastly, we hope BANKRUPTING THE THIRD WORLD will contribute in some small way to the masses pressuring world leaders to eradicate the extreme poverty that sees millions of our fellow Human Beings – men, women and children – dying unnecessarily every year.